Allan Heinberg, the screenwriter of Wonder Woman, speaks at Belmont University in Nashville, Tenn. August 31, 2017. 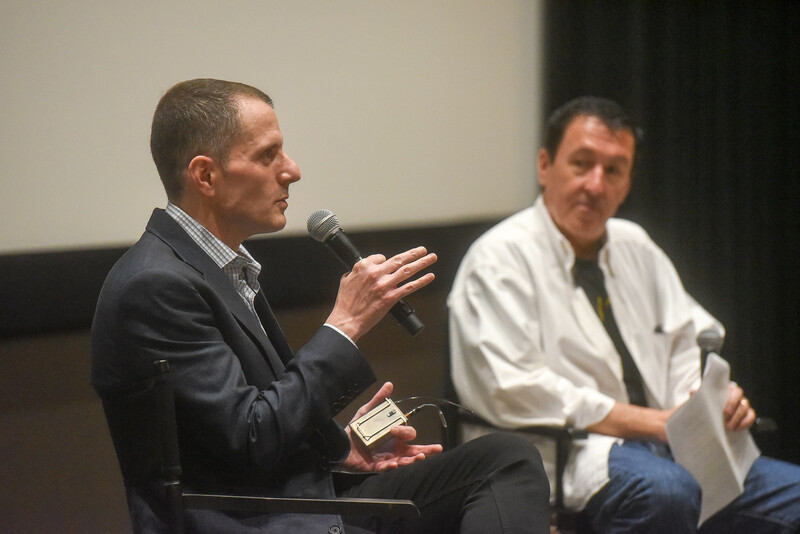 Allan Heinberg, the screenplay writer for Wonder Woman, recently paid a visit to Belmont University to speak with students in the Mike Curb College of Entertainment and Music Business. The event was hosted in the Johnson Center Theater, a state-of-the-art facility on Belmont’s campus that offers cutting-edge technology and is designed to foster innovation among students. During the seminar, students were allowed to ask Heinberg questions regarding his work in film and television. He provided them with valuable advice on how to develop characters and improve their writing skills.